Jamaican producer, musician, teacher, background vocalist and engineer Karl Morrison has been working successfully behind the scenes for many years. And if you Google his name you don’t get many hits. But he has been key architect behind several hits – Busy Signal’s One More Night and Nightshift, Junior Kelly’s Ease My Pain and Gyptian’s Mama Don’t Cry. 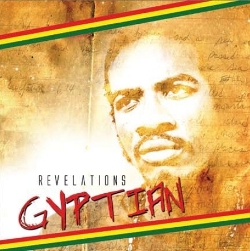 He has also worked with Sean Paul, T.O.K, Ding Dong, John Holt and Ken Boothe. Now he has decided to step into the spotlight as a singer. A year ago he started working on his debut album Better Must Come, and it dropped in May. Karl Morrison is a classically trained pianist and he attended the acclaimed Edna Manley College of the Visual Arts. His skills can be heard throughout the album. He has a great sense for pop hooks and catchy melodies. Just listen to The Storm Will Be Over, the first track he recorded for this self-produced album. It’s warm, sophisticated and uplifting. Just as the rest of this stylish and mature debut effort that battles social issues and equality as well as celebrating the moral of the Jamaican people. 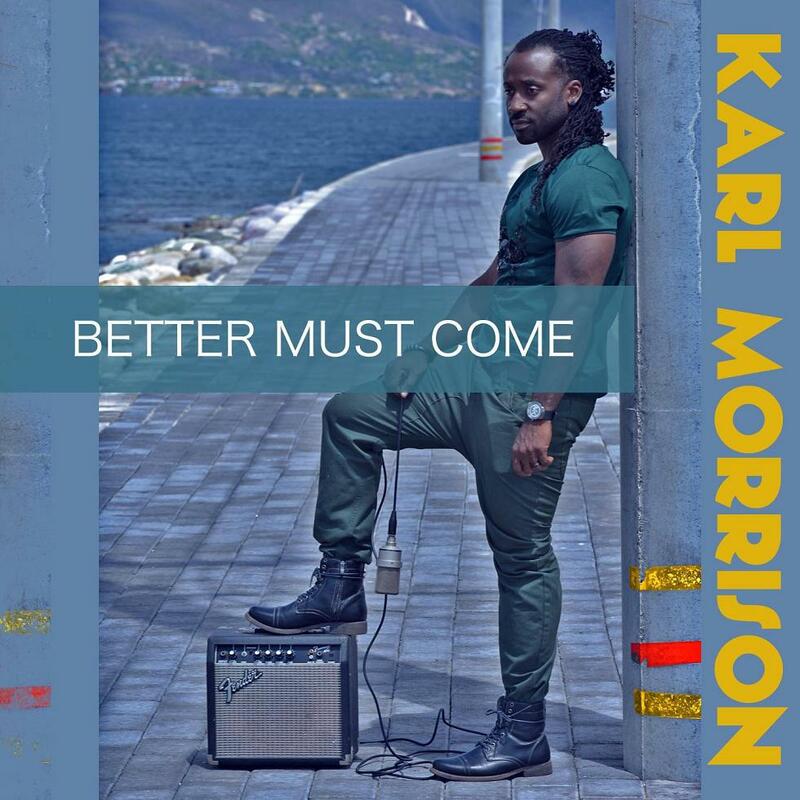 Karl Morrison’s soothing vocal style and pleasant tone is similar to Duane Stephenson and while the latter is now a household name in the business, the former will probably soon be a force to be reckoned with – both in the limelight and behind. The Duane Stephenson competition is settled. Reggaemani congratulates the winner and gives standing ovations to Mr. Kent Eriksson from Nässjö in Sweden. He was among those who got both answers right, so the competition was decided by random draw. Kent Eriksson wins a copy of Duane Stephenson’s sophomore album Black Gold released by VP Records. Curious about the right answers? Yeah, of course you are. VP announced a merger deal with Greensleeves in January 2008 and Duane Stephenson started his career in the group To-Isis. Thanks to all of you who submitted your answers. standing ovations to Mr. Kent Eriksson from X in Sweden. He was among those who got both answers right, so the competition was decided by random draw. Thanks to all of you who sent in your answers. 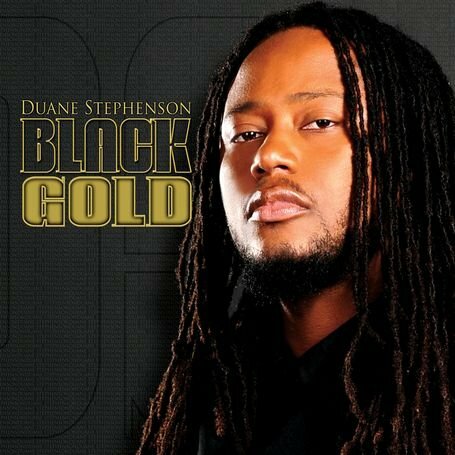 A few months ago Duane Stephenson dropped his sophomore album Black Gold, mainly produced by his friend and mentor Dean Fraser. The album has a very soft feeling to it and will probably appeal to those who like Tarrus Riley. The kind people at VP Records have provided me with a copy of Black Gold to give away. 1. When did labels VP and Greensleeves merge? 2. What was the name of the group in which Duane Stephenson started his career? Send your answers to erik at reggaemani dot com. Among the people who answer both questions correctly I will draw a winner. The competition ends on Sunday November 14 and the winner will be presented next week. And no, this judge cannot be bribed. And yes, it’s a physical CD, not mp3-files. 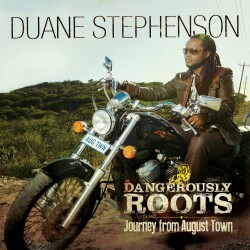 Three years ago Duane Stephenson scored a hit with the beautiful August Town, taken from his solo debut From August Town. His debut was a 15 track blend of romance and culture on one drop and acoustic riddims. In my view a weak album that didn’t match the quality of his hit song. 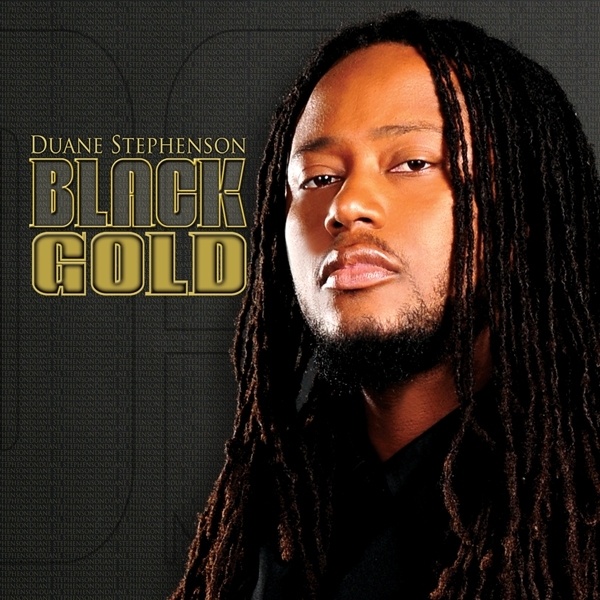 Now Duane Stephenson is at it again and his sophomore album Black Gold hit the streets some weeks ago. Black Gold is made after the same recipe as From August Town – primarily smooth one drop riddims and acoustic ballads. The production is mainly done by Dean Fraser and Duane Stephenson himself. However, two tunes are credited to Christopher Birchill and one to Kemar “Flava” McGregor. Stay At Home is a combination with Queen Ifrica on the Movie Star riddim. Her energy blends very well with Duane Stephenson’s sincere and intimate singing. Soon as We Rise is also a combination, this time with Garnett Silk’s successor Ras Shiloh. This one is on Kemar “Flava” McGregor’s Classic riddim, a silky riddim with nice horn arrangements. But Black Gold consists of too many soft ballads. Sure there are some great pop hooks, but also too many pompous arrangements and save the world lyrics. Duane Stephenson wrote music for Luciano’s edgy United States of Africa, released earlier this year. 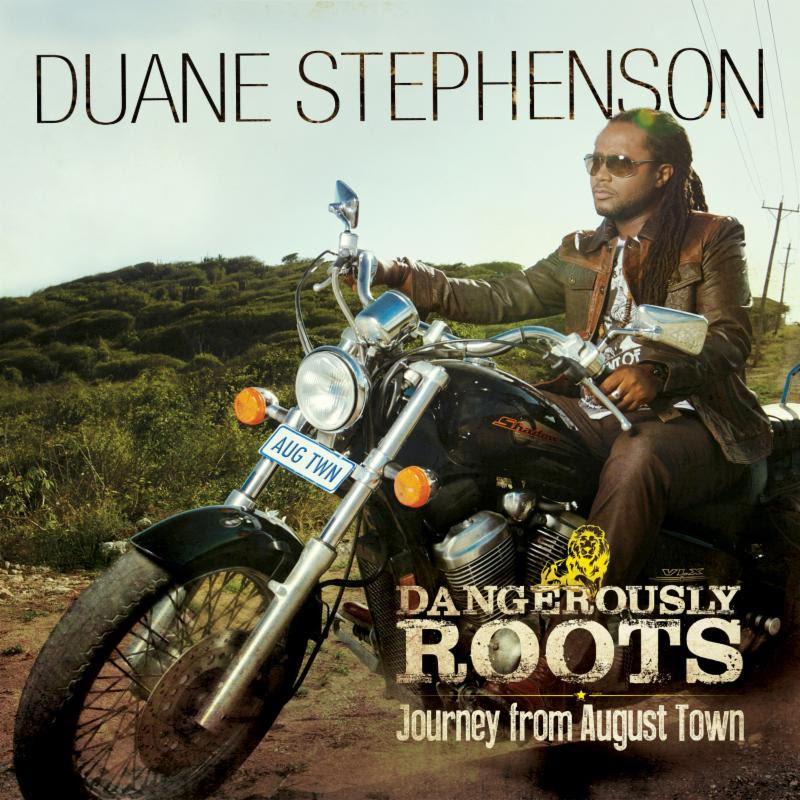 It shows that Duane Stephenson certainly is able to write music that appeal to listeners that don’t sit around the campfire or hold ligthers in the air at concerts. He should have saved some of Luciano’s tunes for himself. Because this album lacks both edge and energy. VP Records had several major album releases in the first half of 2010. But what releases can we look forward to this fall and winter? Reggaemani has got hold of the release schedule from VP and their subsidiary Greensleeves, and notes a heavy collection from an obscure British label. In the first half of 2010, VP Records showed their muscles and released a number of releases from world know artists. Sizzla was first out in January with Crucial Times. This was followed by high-profile records including Junior Kelly and Capleton, artists who had not released full-length albums in many years. The second half of 2010 has started off with several heavy albums. Luciano released his masterpiece United States of Africa in July, a month in which Busy Signal’s versatile D.O.B also hit the streets. And just a week ago Gappy Ranks dropped his retro sounding album debut Put the Stereo On. Autumn and winter releases do not offer the same number of famous artists. It’s mainly reissues and compilations. Anyone who wants to load up with material from Alpha Blondy can start celebrating. VP has scheduled to release seven of his albums, of which Cocody Rock, Apartheid Is Nazism and Jerusalem also will be released on vinyl. There are also reissues from Johnny Osbourne and Josey Wales, and 4 CD boxes with material from the late Dennis Brown and Culture. Releases with new artists are only a few. Energy God Elephant Man drops Dance & Sweep in November and sweet voiced Duane Stephenson’s Black Gold hits the stores in September. He wrote several songs on Luciano’s latest effort. It remains to be seen whether he saved some golden nuggets for himself. There’s also of course a bunch of collections. Among them, Strictly the Best vol. 42 & 43, and also the weed scented Hi Grade Ganja vol. 3. The most interesting collection is however the double CD Nice Up the Dance – UK Bubblers 1984-1987, with tunes from British label UK Bubblers. Included is early material from British deejay pioneers like Pato Banton and Tippa Irie, but also the late songstress Deborahe Glasgow. Onsdagskvällen är iskall i Stockholm. Utomhustermometern visar omkring tio minusgrader. Det är med andra ord ganska långt ifrån den jamaicanska tropiska hettan. I alla fall utanför Kägelbanan på Södra Teatern. Inomhus håller Tarrus Riley hov och levererar en veritabel hitkavalkad i ett furiöst tempo. Kvällen börjar sömnigt. Duktiga, men rätt tråkiga, sångaren Duane Stephenson inleder omkring halv elva på kvällen, en timme efter utsatt tid. Konserten är vid den här tiden långt ifrån fullsatt och Duane Stephenson anstränger sig inte nämnvärt för att roa publiken under sina dryga 20 minuter på scenen. Lovande singjayn I-Octane är det desto mer liv i. Han far fram och tillbaka över scenen likt en speedad road runner. Han gör sitt bästa för att väcka liv i publiken, som nu börjat växa betydligt. Även om I-Octane gör en godkänd insats så spelar han inte samma division som kvällens huvudperson. Faktiskt inte ens samma liga. Tarrus Riley fullkomligen kör över Duane Stephenson och I-Octane med sin scennärvaro, sin intensitet och sitt låtmaterial. Tarrus Riley kliver på scenen klädd i hatt, slips, skjorta och glasögon. Han ser ut att komma direkt från skolbänken på något amerikanskt Ivy League-universitet. Men allt visar sig bara vara en chimär. Tarrus Riley är en briljant entertainer och lyckas göra tuffa liveversioner av sitt många gånger harmlösa material. Tillsammans med niomannabandet ger han redan bra låtar som Beware, Micro Chip, System Set, One Two Order och Good Girl, Gone Bad nytt liv. Han lyckas till och med göra Michael Jackson-covern Human Nature riktigt intressant. Mycket tack vare tempohöjningen. Publiken har kul. Tarrus Riley har kul. Stora delar av bandet har också kul. De enda som verkar ha tråkigt är de två körsångerskorna som mest ser ut att frysa.